The best time to start your garden will depend on what you want to plant. When you’re planning a vegetable garden, first think about how much your family will eat. Keep in mind that vegetables like tomatoes, peppers, and squash keep providing throughout the season—you may not need many plants to serve your needs. Other vegetables, such as carrots, radishes, and corn, produce only once. To find out which vegetables grow best during a specific time of year, hence you should follow this link for a more detailed list of what vegetables to plant during year. Creating a vegetable garden at home is a great way to save money. The health benefits from growing your fruits and vegetables are just as important as saving money. Usually the flavor and texture of homegrown vegetables and fruits exceeds grocery store produce by a mile. When can I start my garden and what is the best approach I should take? Gardening now is a great time to spend with children or to get away and spend time outdoors in the sun. Educating yourself about what to plant in a garden is easier than you realize. Planting a garden that includes flowers shows that you’ve turned a potential eyesore into an attractive landscape feature. When deciding what to plant in a garden, it is wise to start small. Often gardeners can get too ambitious at the beginning of the season and plant more warm season vegetables than they need. Do I Need A Large Area to Grow a Garden? Knowing what you want to plant will help you figure out how the right amount of space. 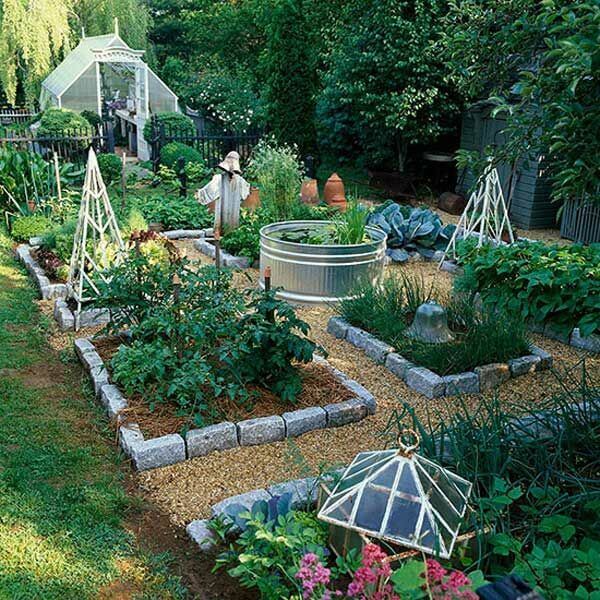 Often at times you don’t always need a large space to grow your garden. If you choose to grow your vegetables in containers, you don’t even need a big yard to grow a garden. A deck or balcony may provide ample space grow your fruits and veggies. No matter how big your vegetable garden or what you decide to plant, there are three basic requirements for success to know when I can start my garden. Full sun – Most warm-season vegetables need at least 6-8 hours of direct sun. If they don’t get enough light, they won’t bear as much and will be more susceptible to attack from insects or diseases. The soil temperature depends on the sun to keep the vegetables going. Plenty of water – Because most vegetables aren’t very drought-tolerant, you’ll need to give them a drink during dry spells. When thinking about how to plan a vegetable garden, remember that the closer your garden is to a source of water, the easier it will be for you. This is especially important when planting tomatoes, peppers, or any other warm-season vegetable. Good soil – As with any kind of garden, success usually starts with the soil. Most vegetables do best in moist, well-drained soil that’s rich in organic matter, such as compost or peat moss. The soil temperature is also vital in keeping your vegetables alive and well. Utilize a soil thermometer to help track the soil temperature. Many gardeners like to have their vegetable gardens close to their house. This makes it easier to harvest fresh produce while cooking. It can also be handy to keep a few favorite potted herbs or vegetables next to your grill. By using vine crops, like green beans and peas, when planting a vegetable garden, you can make use of vertical space in the garden and boost yield per square foot. Place plants single file in rows with a walking path between each row. Row cropping works best for large vegetable gardens, and it makes it easier to use mechanical equipment, such as tillers, to battle weeds. Row cropping limits the amount of vegetables in a small space, also much of the soil is used for footpaths rather than vegetable plants. Row cropping is not as visually interesting as well. Most warm season vegetables appreciate a steady supply of moisture, but not so much that they are standing in water. About an inch of water per week is usually sufficient, provided by you, if Mother Nature fails to come through. Water vegetables when the top inch of soil is dry. For in-ground crops, that may mean watering once or twice a week; raised beds drain faster than sunken beds and may require watering every other day. Fertilizing your vegetables is important to getting the most yields. Many gardeners find that digging in high quality compost at planting time is all their vegetables need, however consider applying a packaged warm season vegetable fertilizer. Following the directions and don’t apply more than recommended as this can actually decrease yield. Harvesting your vegetables is the reward for your work, thus picking your produce to your liking is very important! Many vegetables can be harvested at several stages. Summer squash and cucumber can be harvested when the fruit is just a few inches long, or it can grow to full-size. Leaf lettuce can be picked as young as you like; it will continue to grow and produce more leafy goodness after clipping some leaves. Very informative content, a valuable resource article!